lt;stronggt;FND320004000000lt;/stronggt;lt;BR/gt;Eyesaline flash flood hands-free eye wash stationlt;BR/gt;Locate near workplace hazards for immediate, handsfree eye flushing. One-gallon capacity, three-minute flushing time at a rate of .33 gallons per minute. Wall mountable (bracket included). Quick and easy cartridge replacement. Refill (FND320004010000), sold separately. Eye Wash Station Type: Eye Wash w/Saline Solution; Mounting: Wall; Flow Rate @ Pressure: NA; Depth: 11 in.lt;BR/gt;lt;BR/gt;lt;stronggt;COX01761EAlt;/stronggt;lt;BR/gt;Eyesaline flash flood hands-free eye wash stationlt;BR/gt;One of America's favorite disinfecting wipeskills 99.9% of common illness-causing germs, including Staphylococcus aureus staph, Salmonella enterica, Escherichia coli E. coli and viruses that can cause colds and flu. 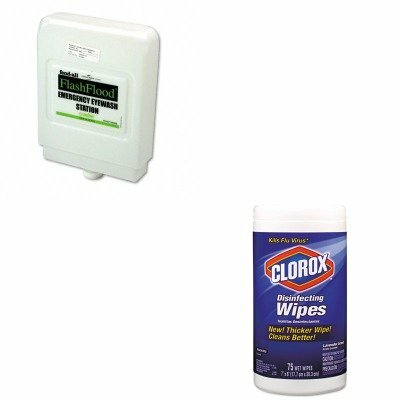 Ready-to-use premoistened wipes clean and disinfect. Just wipe, toss and you're done. One towel goes a long way. Bleach-free. Towel/Wipe Type: Cleaner/Detergent Wet Wipe Application: Bathrooms Gyms Hospitals Kitchens Offices Schools Applicable Material: Acrylic Ceramic Chrome Fiberglass Glass Metal Plastic Tile Vinyl Wood Materials: Non-Woven Fiber. 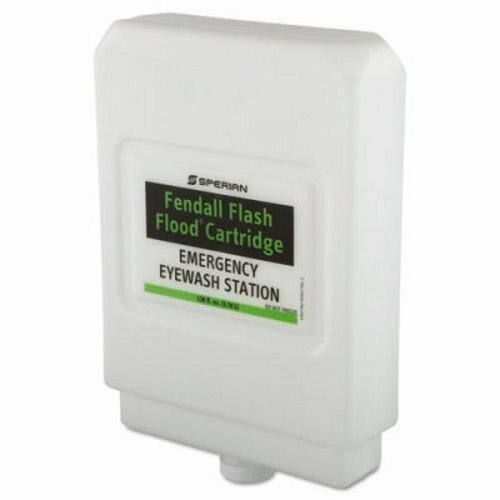 lt;stronggt;FND320004010000lt;/stronggt;lt;BR/gt;Eyesaline Premixed Solution Refill Cartridge for Flash Flood Eye Wash Stationlt;BR/gt;Locate near workplace hazards for immediate, handsfree eye flushing. One-gallon capacity, three-minute flushing time at a rate of .33 gallons per minute. Wall mountable (bracket included). Quick and easy cartridge replacement. Refill (FND320004010000), sold separately. Purified, buffered, pH balance. Eye Wash Solution Type: NA; Capacity (Volume): 1 gal; Packing Type: Cartridge; Compliance, Standards: NA.lt;BR/gt;lt;BR/gt;lt;stronggt;BWK6180lt;/stronggt;lt;BR/gt;Eyesaline Premixed Solution Refill Cartridge for Flash Flood Eye Wash Stationlt;BR/gt;The economical choice for quality bathroom tissue. Embossed, standard size roll. Tissue Type: Toilet Number of Plies: 2 Number of Sheets: 500 per roll. lt;stronggt;FND320004000000lt;/stronggt;lt;BR/gt;Eyesaline flash flood hands-free eye wash stationlt;BR/gt;Locate near workplace hazards for immediate, handsfree eye flushing. One-gallon capacity, three-minute flushing time at a rate of .33 gallons per minute. Wall mountable (bracket included). Quick and easy cartridge replacement. Refill (FND320004010000), sold separately. Eye Wash Station Type: Eye Wash w/Saline Solution; Mounting: Wall; Flow Rate @ Pressure: NA; Depth: 11 in.lt;BR/gt;lt;BR/gt;lt;stronggt;KIM55082lt;/stronggt;lt;BR/gt;Eyesaline flash flood hands-free eye wash stationlt;BR/gt;Get a good grip and an excellent fit. Textured fingertips allow you to work with ease and confidence. Easy-to-don beaded cuffs provide greater strength and durability. Nitrile, synthetic rubber construction eliminates the possibility of latex-oriented allergic reactions. Long, 9 1/2-inch ambidextrous design. Style: Disposable Wrist Style: Beaded Cuff Materials: Nitrile. 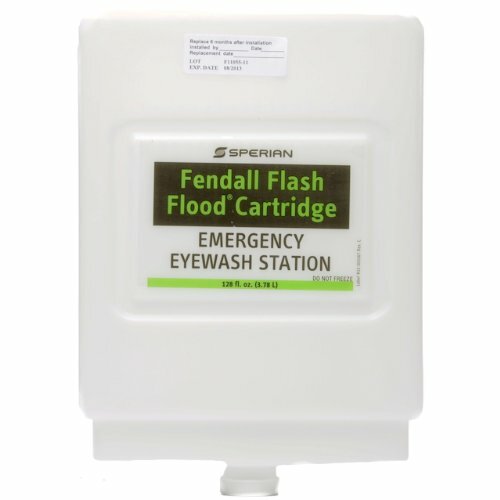 The Fendall Flash Flood Secondary Emergency Eye Wash Station uses 1-Gallon (3.8L) refill cartridges. 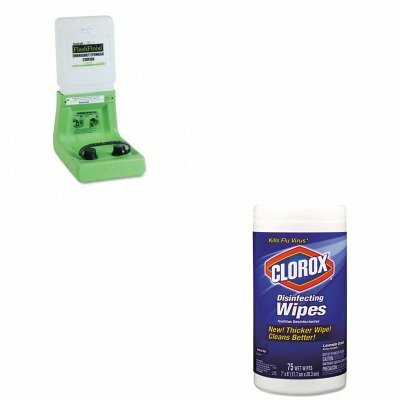 Cartridge changes take less than one minute and eliminate the need for mixing or measuring associated with refillable eye wash stations. 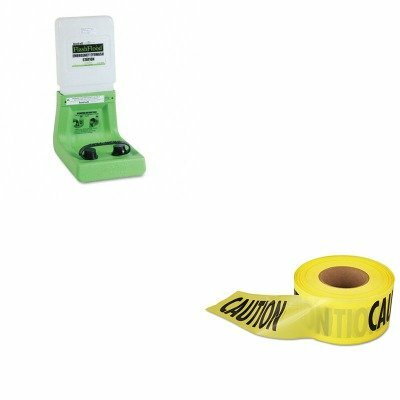 These eye wash station refill cartridges last up to 24 months (6 months once activated). Keep your workplace stocked and prepared with a plentiful supply of cartridges. Four 1 gal (3.8 L) refill cartridges per case. lt;stronggt;FND320004000000lt;/stronggt;lt;BR/gt;Eyesaline flash flood hands-free eye wash stationlt;BR/gt;Locate near workplace hazards for immediate, handsfree eye flushing. One-gallon capacity, three-minute flushing time at a rate of .33 gallons per minute. Wall mountable (bracket included). Quick and easy cartridge replacement. Refill (FND320004010000), sold separately. Eye Wash Station Type: Eye Wash w/Saline Solution; Mounting: Wall; Flow Rate @ Pressure: NA; Depth: 11 in.lt;BR/gt;lt;BR/gt;lt;stronggt;MPG6012XLlt;/stronggt;lt;BR/gt;Eyesaline flash flood hands-free eye wash stationlt;BR/gt;Medical grade exam gloves protect against chemicals, solvents, and pathogens. Textured finish for wet and dry gripping. Ideal for use in medical, dental and scientific research fields. 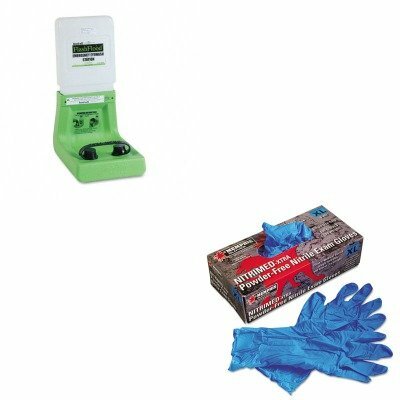 Latex-free gloves are an excellent alternative for individuals who experience allergic reactions to natural rubber latex proteins. Rolled cuff adds strength. Style: Disposable Wrist Style: Beaded Cuff Materials: Nitrile Thumb Style: Straight. 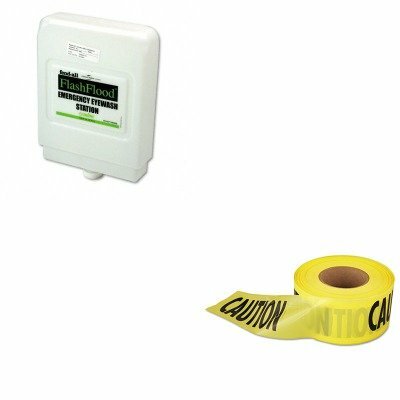 lt;stronggt;FND320004010000lt;/stronggt;lt;BR/gt;Eyesaline Premixed Solution Refill Cartridge for Flash Flood Eye Wash Stationlt;BR/gt;Locate near workplace hazards for immediate, handsfree eye flushing. One-gallon capacity, three-minute flushing time at a rate of .33 gallons per minute. Wall mountable (bracket included). Quick and easy cartridge replacement. Refill (FND320004010000), sold separately. Purified, buffered, pH balance. Eye Wash Solution Type: NA; Capacity (Volume): 1 gal; Packing Type: Cartridge; Compliance, Standards: NA.lt;BR/gt;lt;BR/gt;lt;stronggt;COX01761EAlt;/stronggt;lt;BR/gt;Eyesaline Premixed Solution Refill Cartridge for Flash Flood Eye Wash Stationlt;BR/gt;One of America's favorite disinfecting wipeskills 99.9% of common illness-causing germs, including Staphylococcus aureus staph, Salmonella enterica, Escherichia coli E. coli and viruses that can cause colds and flu. 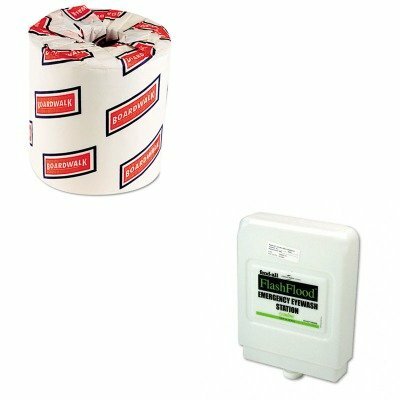 Ready-to-use premoistened wipes clean and disinfect. Just wipe, toss and you're done. One towel goes a long way. Bleach-free. Towel/Wipe Type: Cleaner/Detergent Wet Wipe Application: Bathrooms Gyms Hospitals Kitchens Offices Schools Applicable Material: Acrylic Ceramic Chrome Fiberglass Glass Metal Plastic Tile Vinyl Wood Materials: Non-Woven Fiber. Looking for more Eyesaline Flash similar ideas? Try to explore these searches: Play Shell, Boy Cut Bikini Swimsuit, and White Sink Hole Cover. Look at latest related video about Eyesaline Flash. Shopwizion.com is the smartest way for online shopping: compare prices of leading online shops for best deals around the web. 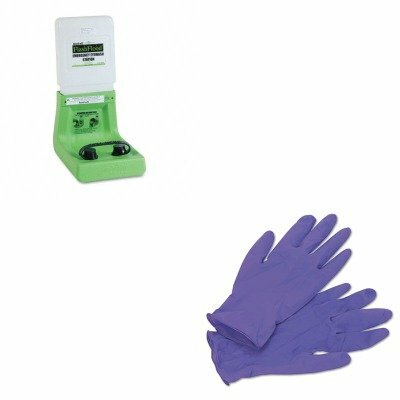 Don't miss TOP Eyesaline Flash deals, updated daily.